New President, Vice President and Board of Directors elected at Surfing South Africa Board AGM. Bakker, who joined the Board of Directors as Vice President in 2012, was upbeat about the future of South African surfing saying “There are exciting times ahead for surfing both Internationally and in South Africa. We will hear very soon whether we will be part of the 2020 Olympics in Tokyo, an opportunity that will be huge for our surfers. I am humbled by the position that I have been elected to and will try my very best to continue to make South African surfing succeed. In addition I acknowledge the commitment and hard work put all by all the previous Presidents over the last 50 years”. Bakker takes over from Mark Hoffman whose six year term as President expired this year. He will join the ranks of former Presidents of SSA, all of whom were granted Emeritus status at the AGM yesterday. Bongani Xulu of Ballito in KZN, who became a Board member in 2014, was elected Vice President and the experienced Western Cape administrator, Bruce Anderson was re elected as Deputy President. All were elected unanimously. Board members re – elected at the AGM are Ann Wright (Durban, KZN), Greg Emslie (East London, Eastern Cape), Isaac February (Muizenberg, Western Cape) and Brian Abrahams (Port Elizabeth, Eastern Cape). Karen Elkington (Kommetjie, Western Cape), a former President of Western Province Surfing, is the only newcomer to the Board of Directors. Surfing South Africa is made up of four disciplines from clubs, districts and provinces and is the recognized governing body for Surfing in South Africa. 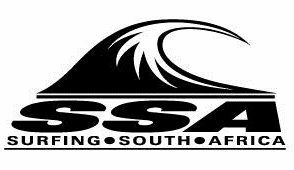 SSA is a member of the SA Sports Confederation and Olympic Committee (SASCOC).is a member of the International Surfing Association (ISA).